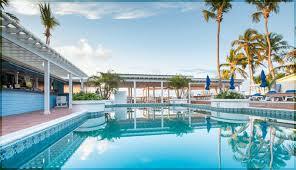 The Bahamas covers an area of 100,000 square miles stretching just below the Florida cays, in the Caribbean. Hence its close proximity to our northern neighbours, makes it one of the more cooler temperatures in the Caribbean. Although temperatures are between 65.0° F and 77.0° F (18°C and 25°C) in February, you can be sure to catch some sun rays during the day. Things to do: The Powerboat Adventures is a fantastic day out for the entire family. This thrilling high speed powerboat will take you on an adventurous ride to the Exuma Cays. The day starts when you are collected from one of our Nassau/Paradise Island Hotels and taken to the Power Boat Adventures private dock for registration, then you are off on an exciting powerboat ride. First stop is Allen’s Cay where you will see more than 50 Iguanas up close and personal. You are then whisked away to Ship Channel Cay for the remainder of the day, where the crew will prepare a sumptuous lunch while you snorkel with stingrays, watch the sharks being fed and tour the private cay. Then after a relaxing day on the beach, you are then transported back to your hotel. 25.0° C 18.0° C 1.7 N.A.